Note: This commentary was first published November 4, 2014, by the Star Tribune. Father Mike Tegeder, pastor of St. Frances Cabrini Church, has been intent on bringing in Flannery, who is on a speaking tour of the country. But the Cabrini visit will be the only time he speaks on Catholic Church property. Flannery, author of several books on religion, holds controversial positions on birth control, homosexuality and the ordination of women. He was silenced by the Vatican in 2012 and told he would be allowed to return to ministry only if he signed a statement denouncing beliefs that don’t agree with current church doctrine. He has refused. Tegeder, long an outspoken priest who has repeatedly tangled with Nienstedt, met with him late last week to discuss the issue. In a letter to the archdiocese, Tegeder referenced Pope Francis in defending the speaker. Tegeder has certainly been willing to accommodate that wish. He has repeatedly fought church hierarchy, most recently over gay marriage. In their meeting, Tegeder asked why it was fine for church bishops and cardinals to discuss controversial issues, “and you don’t approve of those, so why can’t this little church in Minneapolis talk about them,” Tegeder said. Even though the diocese has much bigger issues at hand, such as the relentless news accounts of child abuse, Tegeder said he’s not surprised that the issue of someone speaking at his church has gotten the attention of church leadership. “It’s a minor thing in my opinion, but this is what these guys live for — hierarchical control,” Tegeder said. Tegeder said his congregation is excited to hear from Flannery, a founding member of the Association of Catholic Priests in Ireland. 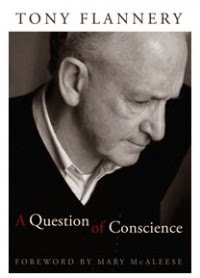 Flannery has a recent book out, A Question of Conscience, which recounts his treatment by the Congregation for the Doctrine of the Faith, then led by Josef Ratzinger. Tegeder said that while very few American priests openly call for change, about one-third of those in Ireland are pushing hard for reforms. Then on Friday, a worker at Cabrini called Tegeder to tell him a registered letter had arrived, and wanted to know if they should open it. “Hoping that I won some kind of jackpot, I said of course,” Tegeder wrote in response to the archbishop. In the letter, Nienstedt said that “Flannery attacks the teaching of the Church” on important issues. So, unless there are further communications, Flannery’s talk will happen Wednesday, November 5 at 7 p.m., with the support of the Cabrini community. “I’ve got a lot of love behind me,” Tegeder said. Silenced Irish Priest Tony Flannery Touring U.S. – Dennis Coday (National Catholic Reporter, October 21, 2013). 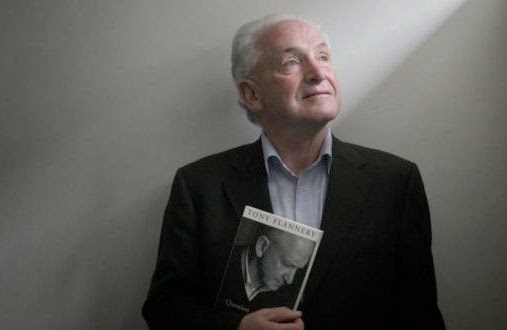 A Review of Tony Flannery's A Question of Conscience – Dermot Keogh (The Independent, September 15, 2013). • Fr. Tony Flannery: "Vatican's Demand for Silence is Too High a Price"